An even graver sin, curiously slighted by Belloc’s most recent biographers, A.N. 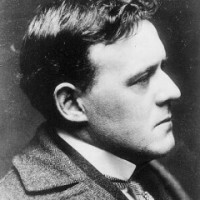 Wilson (Hilaire Belloc, 1984) and Joseph Pearce (the shorter, more reverential Old Thunder: A Life of Hilaire Belloc, 2002), occurs repeatedly in Belloc’s analyses of the French Revolution. Notwithstanding the fervor with which pope after pope—especially, in Belloc’s youth, St. Pius X—had declared support for Jacobins and indeed Girondins to be incompatible with the most basic Christian decency, Belloc remained as eupeptic as any Charles James Fox about the entire pageant of French politics from the Bastille’s fall via Robespierre to Napoleon. Revolutionary genocide against the Vendéens and Chouans scarcely touched Belloc’s consciousness. On his last (1937) tour of the U.S., he accused Americans of wanting to hear “48,376,277 times…that war is all wrawng and why cahunt everyone in Yurrup live peaceably same as us; that Religion don’t count same as it useter ’cos there’s more enlight’nment now.” So he could perceive, and denounce, lunatic world-saving Wilsonian optimism when it fell from his hosts’ lips. Why that optimism somehow became acceptable when the increase in “enlight’nment” had been effected by the guillotine, instead of by American presidential overreach, Belloc never explained.